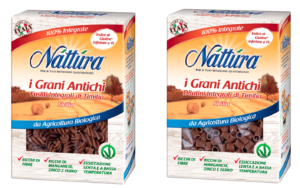 Náttúra is offering its costumers the chance to rediscover the flavor, the scent and the nutritional properties of an ancient grain with a new line, Grani Antichi: organic Timilia wheat penne, fusilli, bavette and ditalini, made with a grain born from a thousand-year old natural selection and typical of central Sicily, highly digestible and recommended for those who manifest sensitivity to modern grains. They have not been altered and have not been genetically modified by humans. 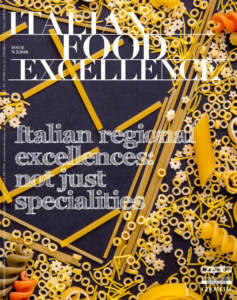 In addition, they are processed through stone milling and the flour that is obtained is less refined than other flours. 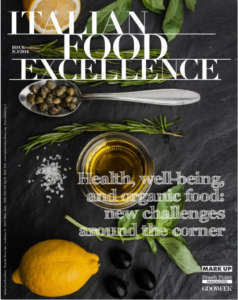 They have a gluten index of less than 15 *, typical of native ancient grains, since they maintain a more balanced relationship between the presence of starch and gluten content. For this reason, they are suitable for those who have a sensitivity to gluten. They come from a close area with all the benefits of a short chain. They are better. 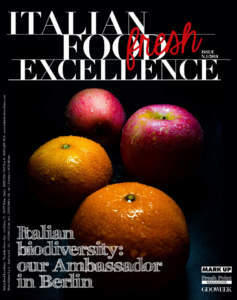 Grani Antichi have shades of smells and flavors that cannot be found in wheat. 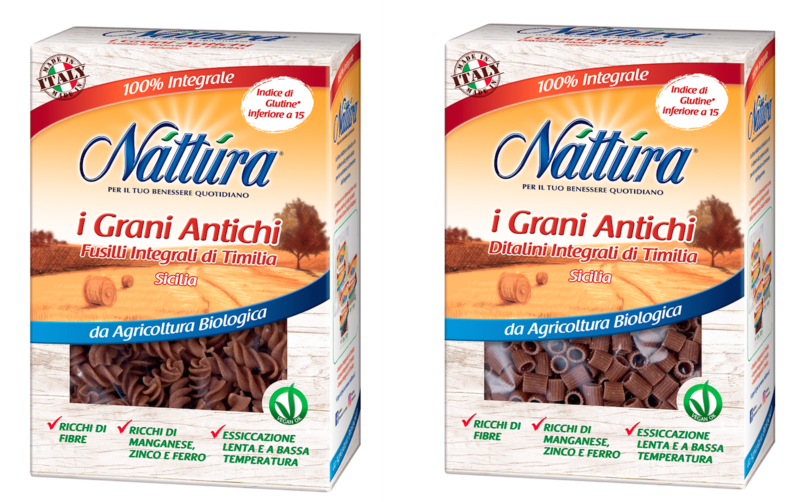 The whole line of Grani Antichi pasta by Náttúra, is made and distributed by Eurofood.